As an independent city, Lippo Cikarang comprises a growing number of business entities. Lippo Cikarang TMS always does the best to support tenants in running their business, one of them is by providing various promotional platform and media, to support tenants’ promotional activities. With a wide range of media options, tenants can choose promotional media to suit their needs. With 10 frames banners scattered at crowded center points, Whats On Lippo Cikarang can be your choice of choosing Outdoor media for promotional activities. The largest community magazine in Lippo Cikarang spreads over 10,000 books every edition of course can be used as a medium to promote your business. 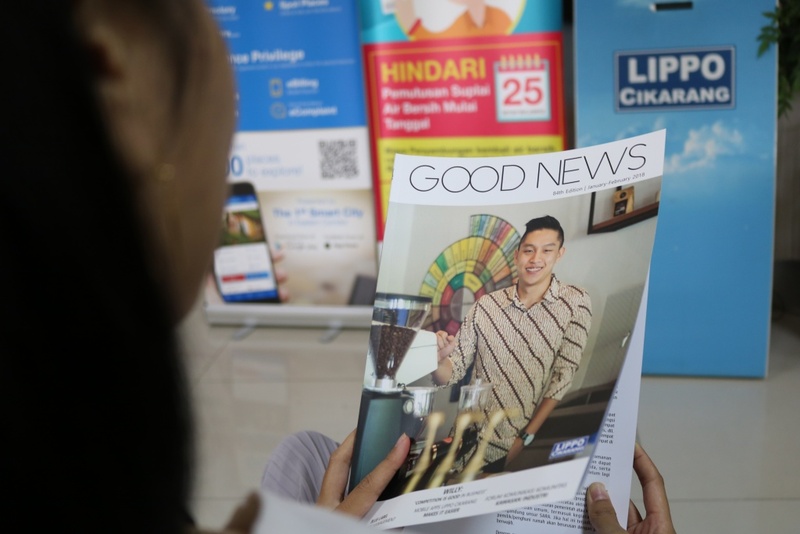 Providing various types of advertising, Good News Lippo Cikarang comes with a thicker page and is distributed free of charge in the industrial, residential and commercial areas. For those of you who choose a digital platform, Lippo Cikarang now has LippoCikarang.com mobile apps. This smart application has a variety of facilities that can be used by residents and visitors. There is also a directory facility, that can directly show the location of your business. In addition to the three media campaigns, Lippo Cikarang is preparing various other media promotion platforms, which will certainly help you in promoting your business. Look forward to the good news from us! For future information, please call: (021) 897 2484/1309 or email us at lcnews@lippo-cikarang.com.